BENGALURU: The Election Commission of India will hold the bye-election for Chincholi (SC) Assembly Constituency on Sunday, May 19. Results for the same will be announced on May 23. “The Election Commission of India has decided to hold bye-election to fill one clear vacancy from 42 – Chincholi (SC) Assembly Constituency in State Legislative Assembly of Karnataka,” said the Election Commission. The Electoral Rolls for Chincholi Assembly Constituency has been published. The EC will use Electronic Voting Machines (EVMs) and Voter-verified paper audit trail (VVPATs) for the bye-election in all polling stations. 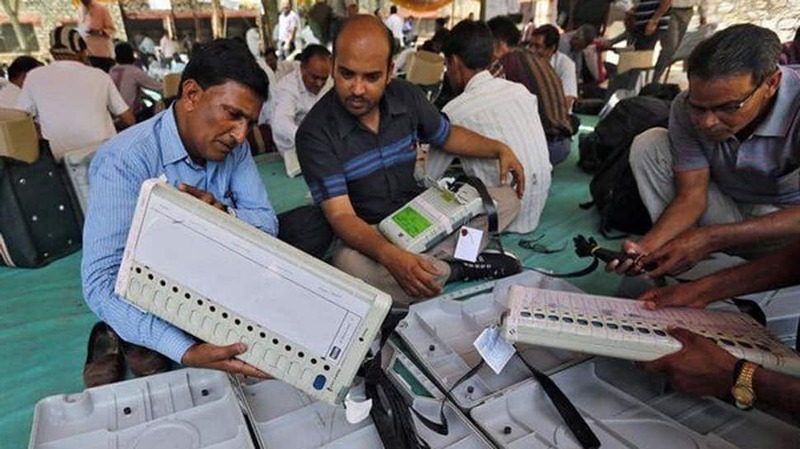 “Adequate numbers of EVMs and VVPATs have been made available and all steps have been taken to ensure that the polls are conducted smoothly with the help of these machines,” said the Election Commission. “In consonance with the past practice, the Commission has decided that the voter’s identification shall be mandatory in the aforementioned bye-election at the time of poll. Electoral Photo Identity Cards (EPIC) shall be the main document of identification of a voter. The order issued by the Commission in this regard for the General Election to the House of People and State Legislative Assembly, 2019 shall apply for identification of voters at the time of poll in the said bye-election,” added the poll panel. The Model Code of Conduct is already in force with the announcement of Lok Sabha Election 2019, in all States and Union Territories (UTs). The Model Code of Conduct shall be applicable to all candidates, political parties and the State Government concerned, said the EC.